It is Halloween and so I am engaged in my traditional Halloween activity. I am sat in the dark, pretending not to be in. There are no sweets in the house and so it is imperative that no one should knock on the door expecting some. Hiding in the dark is actually kinda fun, creeping around, whispering, trying to cook a meal by the light of the fridge. It’s fun right up until you need to go to the bathroom. This is what I have discovered. I expect a lot of other people are discovering this also. Looking out of the kitchen window, a lot of people don’t seem to be home right now. Since it is too dark to read I thought I would write a little about my two new books. This one I found while pottering around the Waterstone’s in Cambridge. I drove all the way there specifically for a book hunt and I found this tucked away in a corner by the stairs. I was only stood there because the unyielding crowd had forced me out of its way. 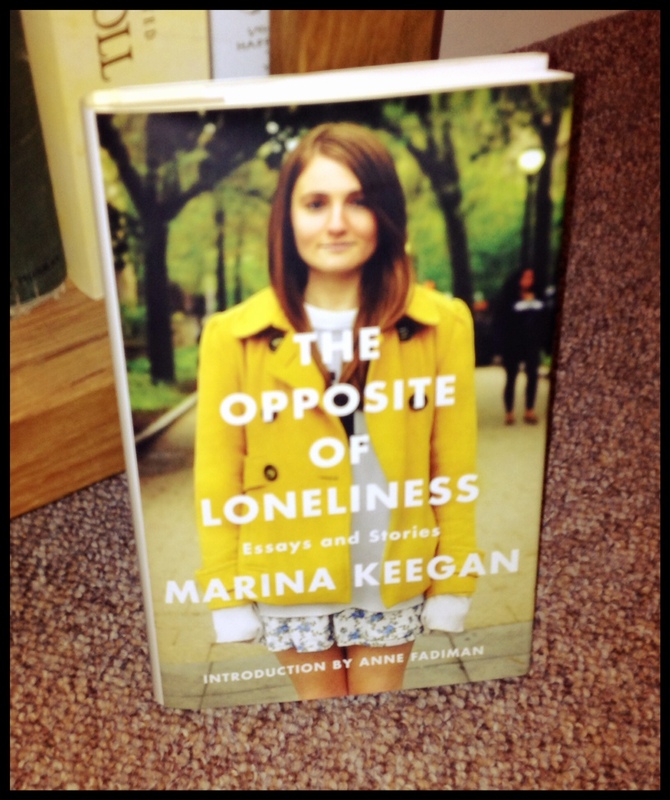 It is a collection of short stories and essays from a 22 year old Yale literature student who died suddenly shortly after her graduation. I had a short flick through the book before I bought it, but I knew I was going to buy it just from reading on the back about what the book was and where it had come from. This slim volume is her life’s work. I really appreciated the tone of the introduction. It doesn’t try to paint her as the complete article, or a prodigal genius. Instead the book is shown as a brief glimpse of something raw that never got a chance to become more refined or finished. The writing is worthy of the attention though. There are little flashes of insight scattered throughout, the kind of insight I was completely incapable of at 22. In fact some of the flashes of insight are not so little. The story Reading Aloud, about an elderly woman who secretly takes off her clothes while reading mail to a blind man, shows a real maturity. But there is a bubbly, young quality about the writing too, which lends even more poignancy to an already poignant book. I’ve decided I’m going to be a writer. Like, a real one. With my life. In the end what we are left with is just a little hint of what might have come later. The woman on the till at Waterstone’s told me this book was exceptional, even without the extra layer added to it by its author’s untimely death. I think she might be right. Yeah, it’s a print version of my own novel. I decided to have a go at this, since Createspace makes it cost-free to have a paperback version on Amazon alongside the ebook version. I remember being young and talking about how I wanted to write books and occasionally someone would ask if I would ever self-publish. I was always adamant that I would not do that. Back then self-publishing (or the preferable ‘indie-publishing’, or the more accurate ‘guerrilla-publishing’) seemed like a very bad idea. Spending hundreds, or even thousands, of pounds just to have boxes of books that no one has heard of stuffed into the loft? Why do that? I am glad that I have been able to see past my old beliefs and not turn my nose up at this. 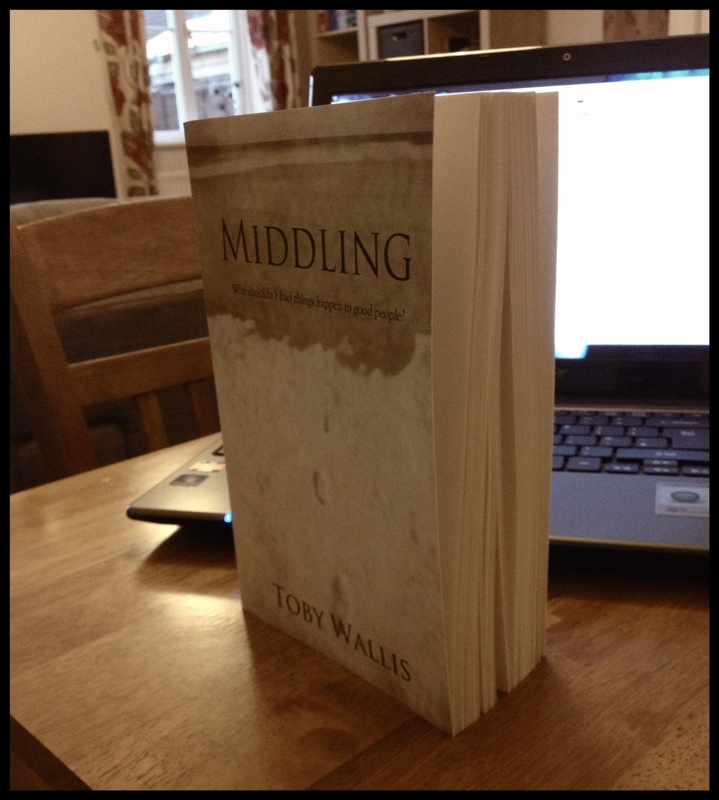 Self-publishing is changed now and I am having a lot of fun with it, and putting together a print version of Middling has been very satisfying. I quite like the one-man-bandedness of it all. I went to art-school for six years, worked for two at a design and print company and spent a year typesetting medical leaflets. It was really cool to pool some of that experience on a project all of my own making. I will be doing a Createspace version of my new book when it is ready, and having gone through the process of doing one for Middling has been a useful exercise. A lot of work, but satisfying. Anyway, it sounds like the local children have stopped rampaging about now. I think I am OK to turn the lights back on and resume normality. Previous Post Eggers! McEwan! Others! Paradox!